Masood Ali Wilbert Warren was an African American painter and sculptor active from the 1930s through the 1970s. 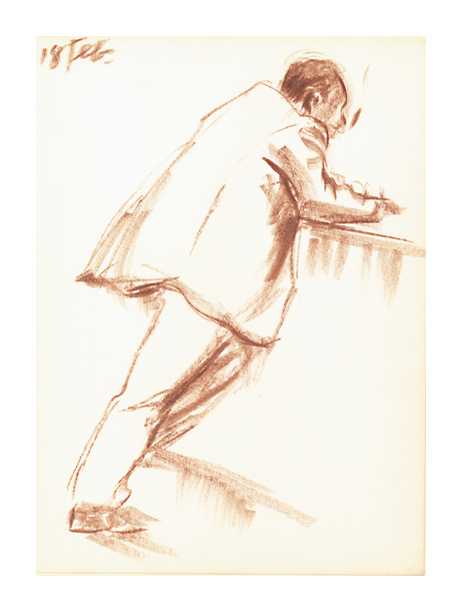 Warren attended the Art Students League in New York (1932-1935) and earned a Bachelor of Fine Arts in mural painting from New York University in 1939, and a Master of Fine Arts with a major in sculpture at Temple University in 1961. 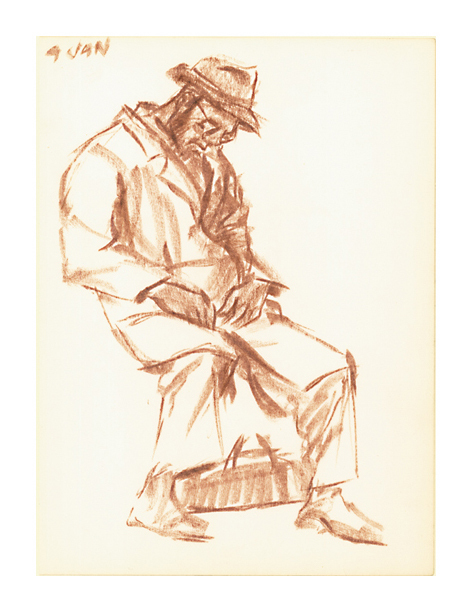 Warren served as a sergeant in the Quartermaster Corps of the United States Army at a time when African American soldiers were segregated in the military.His work is included in the publication New York City WPA Art, New York: NYC WPA Artists Inc, 1977. Three hardbound sketch books, each approximately 110 leaves, with one sketch on each right hand page. "In order to be a True Artist, you must be a True Man." 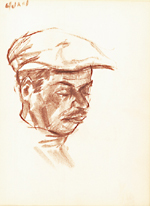 Similar sketchbooks were acquired in 2007 by The James Weldon Johnson Memorial Collection of African American Arts and Letters, Yale University Library. 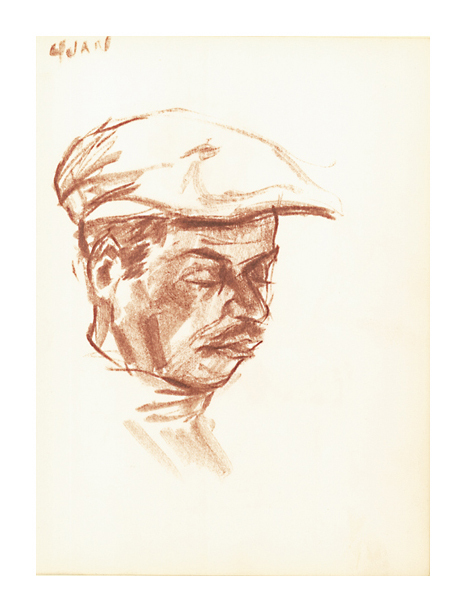 The online acquisition statement reads: "Warren is a celebrated artist and sculptor whose work documenting the daily lives of African Americans in New York City and elsewhere is unparalleled." 1. 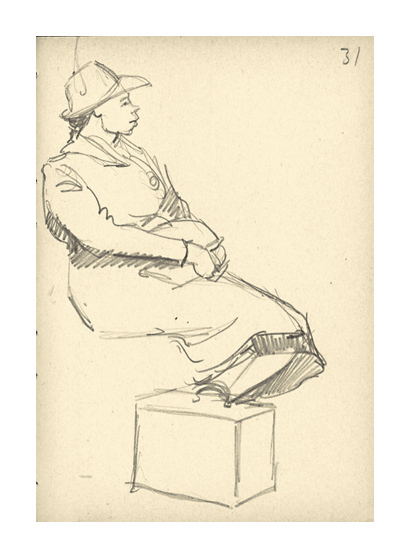 Life Sketches I - 1937, Pencil. Unsigned, with the artist's preface annotations in the inside front covers. Sheet size 6 3/4 x 4 3/4 inches (171 x 121 mm). The sheets toned at the edges and with scattered light soiling, but in generally good condition, with the images clean. The binding with normal wear and soiling. 2. 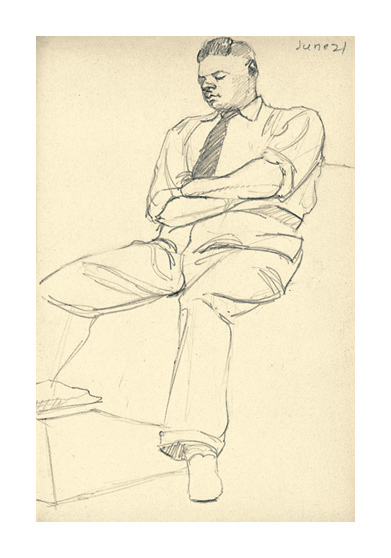 Life Sketches II - 1937, Pencil. 3. 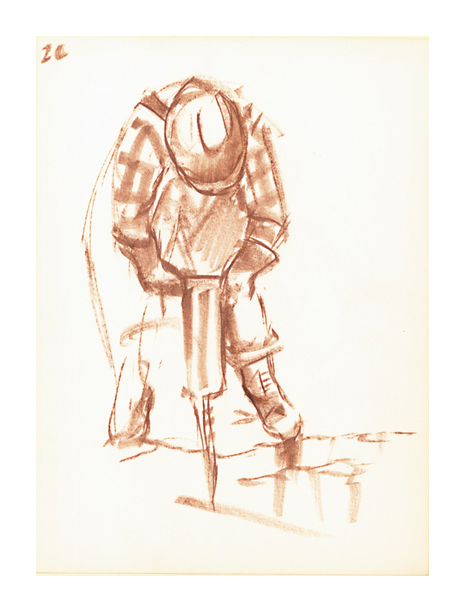 Life Sketches III - 1938, Pencil. 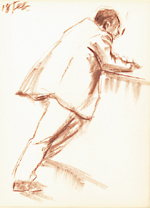 Untitled (Contemplation) - c.1972, Dry Marker. Unsigned. Annotated in the artist's hand 4 JAN, in the upper left sheet corner. Image size 8 x 6 1/4 inches (203 x 158 mm); sheet size 12 x 8 3/4 inches (305 x 222 mm). 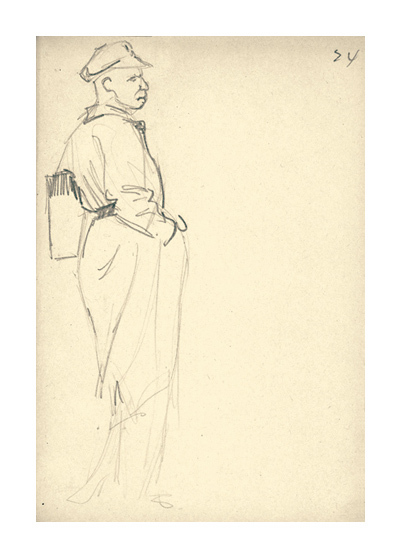 A fine spontaneous rendering, on cream wove paper, in excellent condition. Untitled (After Hours) - c.1972, Dry Marker. Unsigned. Annotated in the artist's hand 18 FEB, in the upper left sheet corner. Image size 11 1/2 x 7 7/8 inches (292 x 200 mm); sheet size 12 x 8 3/4 inches (305 x 222 mm). 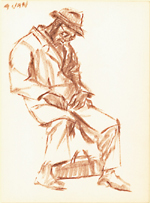 Untitled (Homeless) - c.1972, Dry Marker. Unsigned. Annotated in the artist's hand 9 JAN, in the upper left sheet corner. Image size 11 x 7 inches (279 x 178 mm); sheet size 12 x 8 3/4 inches (305 x 222 mm). 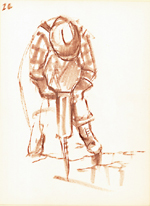 Untitled (Gentle Jack) - c.1972, Dry Marker. Unsigned. Annotated in the artist's hand 20, in the upper left sheet corner. Image size 10 x 7 inches (254 x 178 mm); sheet size 12 x 8 3/4 inches (305 x 222 mm).